The two-time Lok Sabha MP representing Bengaluru Central constituency, P C Mohan from the BJP has quite a long history in politics. 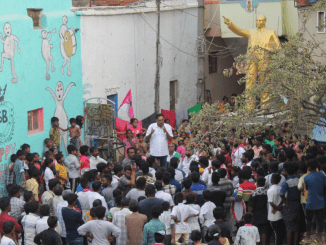 He was the MLA of Chickpet assembly constituency for two terms, from 1999 to 2008. He got elected as MP in the 15th (2009) and 16th (2014) Lok Sabha elections from Bengaluru Central. In 2014, Mohan got 51.85 percent of the 10,74,602 votes cast in Bengaluru Central constituency. He defeated his nearest rival, Rizwan Arshad of the INC, by more than 1,37,500 votes. In the 2009 elections, his tally had exceeded that of H T Sangliana from INC, by over 35,000 votes. P C Mohan’s balance sheet shows that his assets have shot up from Rs 47 crore to Rs 65 crore in five years, an increase of Rs 18 cr, ie., around 38 percent. While the tally indicates a slight dip in movable assets, his immovable assets have almost doubled. His liabilities have increased by Rs 5 cr. The hike in Mohan’s assets between 2014 and 2019, is quite modest compared to the hike during his first MP term from 2009 to 2014. Between 2009 and 2014, Mohan’s assets had increased from Rs 5 cr to Rs 47 cr, an exponential hike of 786 percent. It earned him eighth rank nationally in the dubious list of Top 10 re-elected MPs with highest asset increase. His liabilities had also grown by 696 per cent in the same period, from around Rs 3 cr to Rs 26 cr, mostly due to car/housing/other loans. MLA from Chickpet assembly constituency for two tenures, from 1999 to 2008. Member of Standing Committee on Urban Development. During his last tenure, P C Mohan’s record seems to have been above average. He attended 83 per cent of parliamentary sessions. His attendance was slightly better than the national average of 80 per cent and the state average of 79 per cent. His attendance was 100 per cent only for two sessions – the first session and the final budget session. For the other 17 sessions, his attendance was above 75 per cent, except for the 2018 budget session when it dipped to 45 per cent, and the 2015 monsoon session when it plummeted to 41 per cent. Mohan participated in 21 debates, much lower than the national and state average. He asked 315 questions in Parliament, which was higher than the national average of 293, but lesser than the state average of 373. Mohan has not introduced any Private Member’s Bill. Overall, his performance improved in this tenure compared to his previous tenure in 2009-14. 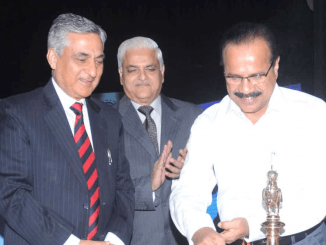 P C Mohan has undertaken projects that have brought him appreciation. Bowing to public demands, he used his MPLADS funds to build a halt station at Hoodi. A halt station is small railway station where a few trains stop, but is usually not staffed by railway personnel. Mohan was also instrumental in introducing new suburban rail services between Bengaluru City and Whitefield, and DEMU services in the Banaswadi-Whitefield and Banaswadi-Hosur routes. The move has benefitted many commuters, especially around the Whitefield area, he claims. By last November, P C Mohan also released funds from his MPLADS funds to widen the roads at Carmelaram railway crossing. 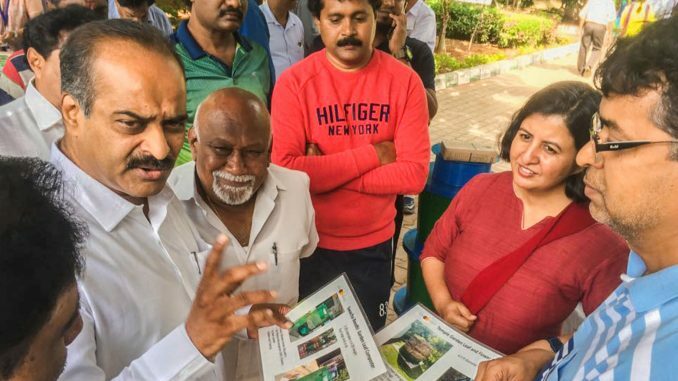 He talked to the BBMP and Railways to speed up road construction, so that the traffic knots at the junction of three roads here could be untangled quickly. It was an issue that had plagued commuters for about a year, but his intervention solved the issue. P C Mohan had supported the citizens’ movement Whitefield Rising in their battle against the pollution caused by Graphite India Ltd. The factory was ultimately ordered to be closed by the courts. The MP also wrote to the Chief Minister requesting the state government to include MPs and MLAs in review meetings. As per data from the office of Deputy Commissioner, Bengaluru Urban, Mohan has used Rs 23.9 cr out of Rs 25 cr available to him under MPLADS. In five years, he used this amount for 144 projects related to water, toilets, education, anganwadi, hospitals, parks, playgrounds, railways, security, sports, civic and community development. P C Mohan’s maximum expenditure has been on works related to water and toilets, for which he has spent Rs 6.5 crore. He has spent Rs 3 cr each on education and railways, Rs 3.2 cr on health, and Rs 3.55 cr on community welfare works. The MP seems to have a good record for MPLADS spending during his previous tenure from 2009 to 2014 too. Sir, you have done a great Job! while looking at the expenditures shown above, but why still we are facing thirty drain issue and basic facilities are still lacking in Marathahalli and Kundalahalli gate area? Too many illegal constructions which lead to too much crowd and bandwidth of road and drain are insufficient. I hope my feedback would be considered and we would get some justice when you are elected this time. Sir, I am impressed with your work in the last tenures as MP. We are residing near Munnekolala, Kundanahalli. Your attention is invited in this area, where the road is in bad condition,Development near govt school and we don’t have parks. You may ask the councillor and MLA of your party. Please come and visit our place too. Nobody knows about you.